Garlic for Colds - Can It Help? Can Garlic Keep You Cold-Free? During the chilly fall and winter months, many people turn to garlic to prevent colds. A culinary herb available in supplement form, garlic is rich in allicin, a compound found to stimulate the immune system in lab research. Although few studies have examined garlic's effects on the human immune system, some research suggests that garlic may help protect against colds when taken regularly. For a research review published in 2009, scientists sought out clinical trials testing garlic's potential role in cold prevention and treatment. Only one study met the review's criteria for inclusion -- a 2001 trial involving 146 volunteers who took either a garlic supplement or a placebo for 12 weeks. The trial's results revealed that participants given garlic supplements had significantly fewer colds and recovered faster when infected (compared to members of the placebo group). 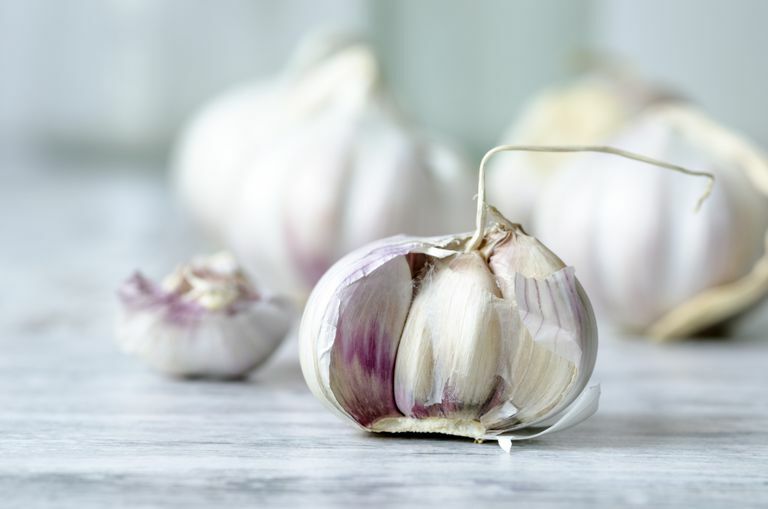 Analyzing the trial's findings, the review's authors concluded that garlic "may prevent occurrences of the common cold, but more studies are needed to validate this finding." Garlic may cause certain side effects (such as bad breath, body odor, and indigestion). Since garlic may produce blood-thinning effects, it's important to avoid garlic supplements if you're taking blood-thinning medications or using supplements thought to affect blood-clotting (such as ginkgo biloba and vitamin E). Garlic supplements should also be avoided prior to undergoing surgery. It's important to keep in mind that supplements haven't been tested for safety and dietary supplements are largely unregulated. In some cases, the product may deliver doses that differ from the specified amount for each herb. In other cases, the product may be contaminated with other substances such as metals. Also, the safety of supplements in pregnant women, nursing mothers, children, and those with medical conditions or who are taking medications has not been established. You can get further tips on using supplements here. Given the lack of scientific support for garlic's cold-fighting benefits, garlic supplements cannot currently be recommended for cold prevention or treatment. If you're looking to ward off the common cold, wash your hands frequently and avoid close contact with people who have colds. Following a balanced diet, exercising regularly, getting sufficient sleep, and managing your stress may also help boost your immune system and cut your cold risk. If you're considering the use of garlic supplements for colds (or any other health condition), make sure to consult your physician before starting your supplement regimen. Self-treating and avoiding or delaying standard care can have serious consequences. Centers for Disease Control and Prevention. "Common Cold and Runny Nose". September 2010. Josling P. "Preventing the common cold with a garlic supplement: a double-blind, placebo-controlled survey." Adv Ther. 2001 Jul-Aug;18(4):189-93. Lissiman E, Bhasale AL, Cohen M. "Garlic for the common cold." Cochrane Database Syst Rev. 2009 Jul 8;(3):CD006206. National Institutes of Health. "Garlic: MedlinePlus Supplements". August 2010.